When it comes to temptation, our culture offers very little motivation to resist it. More often than not, we hear the voices yelling “Give in! You deserve to be happy!” Truly, yielding to temptation is much easier than resisting it. But for those who yield, the path of life is strewn with the litter of remorse and shame. Their souls grow sick, not for longing to taste forbidden fruit but because the fruit made them sick. If we wish to avoid such soul sickness, we must resist temptation. But how? Joseph provides a sterling example of one who could have cuddled lust and enjoyed its warm embrace but instead chose to resist its persistent, alluring offer in favor of righteousness. Let those of us who stand today take heed, lest we fall tomorrow. 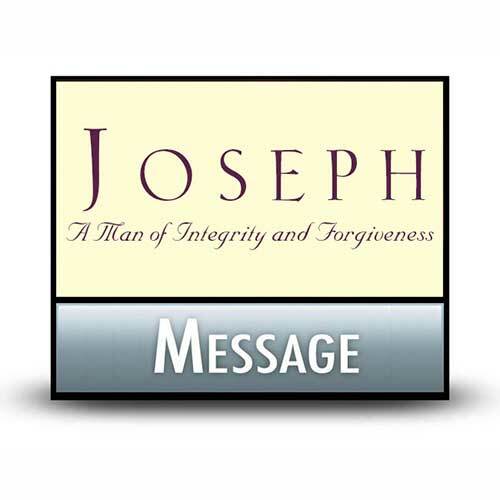 Joseph: A Man of Integrity and Forgiveness. Copyright © 1980, ℗ 2015 by Charles R. Swindoll, Inc. All rights are reserved worldwide.